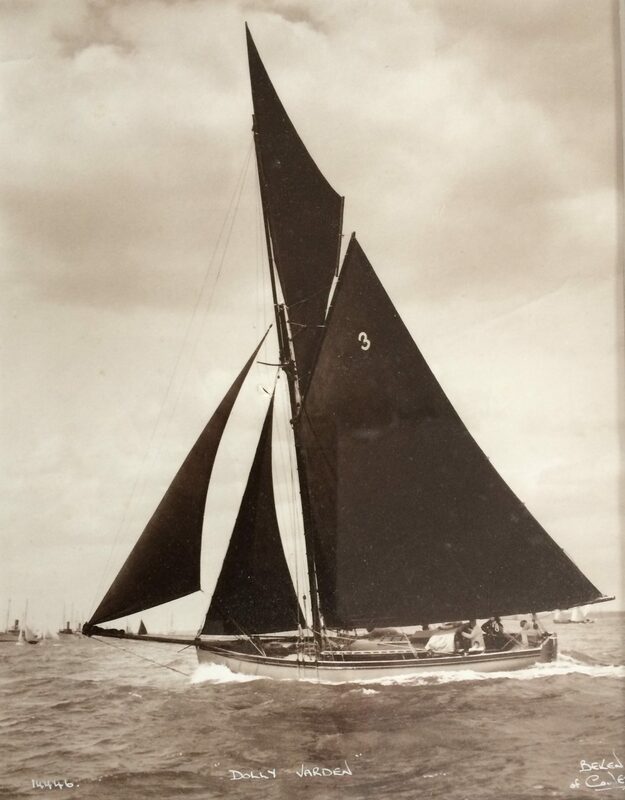 Racing yacht Dolly Varden was built at Cowes in 1872 for the Paskins fishing family. She raced with great success under the colours of Richard Grant secretary of The Royal Yacht Squadron. In 1888 she was purchased by Thomas Ratsey of sailmakers Ratsey and Lapthorne fame. Dolly was used and raced as a sail development vessel for the Americas cup leviathans including King George V’s Britannia. She continued to race successfully until the outbreak of WW2 earning the title “Queen of the Solent”. This little yacht was sailed and loved by the rich and famous and they took her to their hearts. Unbelievably after forty years out of the public eye she is still here albeit in need of serious attention. With the help of Deeper Dorset Dolly Varden will smoke the waters once again be in no doubt of that. This vessel is truly unique with a history that is unrivalled and she is simply a national treasure. If you want to help in any way please do get in touch.